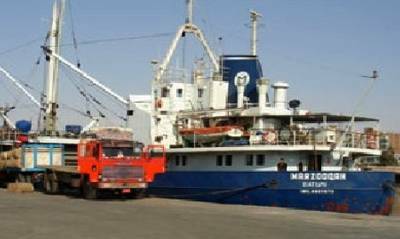 Eritrean forces in the Red Sea have boarded a merchant vessel that was in their territorial waters in an incident the crew initially reported as a pirate attack, reports Reuters. It was not immediately clear why the forces boarded the ship, the MV Marzooqah, and it was not possible to contact authorities in Eritrea, one of Africa's most isolated nations. Reuters quotes Lieutenant Commander Jacqueline Sherriff, spokeswoman for the European Union Naval Force Somalia (EU NAVFOR) as saying that the vessel was thought by them now to in the hands of the Eritrean forces. The reason for the vessel's arrest is not yet clear. The 2,172 dwt MV Marzooqah is named in the fleet listing of Egypt coastal traders Dina Shipping &Trading Co.